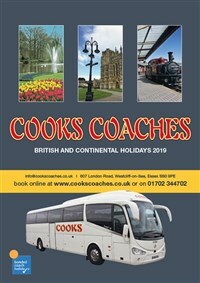 Cooks Coaches offer good value for money short breaks and holidays, a comprehensive day excursion programme, and private and contract coach hire. 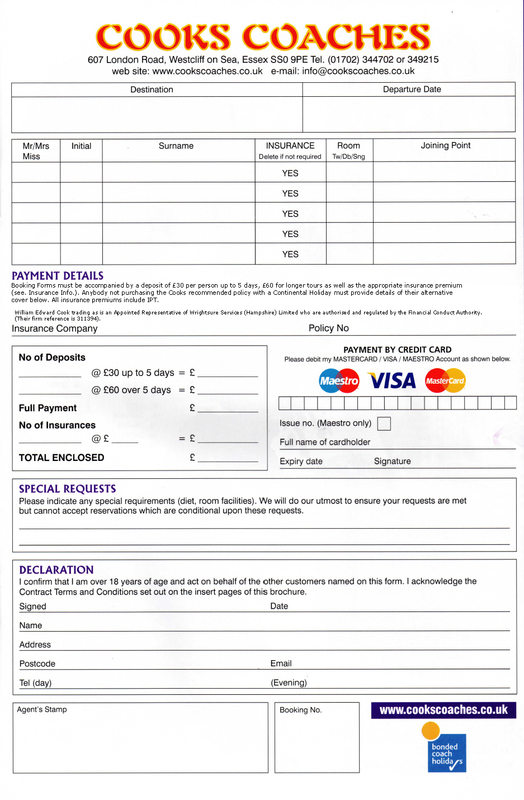 We are a family business having been operating in the Southend-on-Sea area of Essex (40 miles east of London) for over 100 years during which time we have built up a reputation for reliability, honesty and courtesy. We have a fleet of modern, well equipped luxury coaches with experienced drivers dedicated to making your day trips and holiday tours with Cooks the best and most enjoyable. Cooks Coaches fully comply with the Package Travel Regulations of 1992 and are Bonded with the Confederation of Passenger Transport. With effect from 25th May 2018 our Terms and Conditions have changed to comply with the General Data Protection Regulation (GDPR).